For more years than I care to mention, I've been using Herbal Essences to shampoo and condition my hair. And in doing some research for this post, I've come to learn that although Herbal Essences claim to be cruelty free, their parent company do test some products on animals. I am shook. 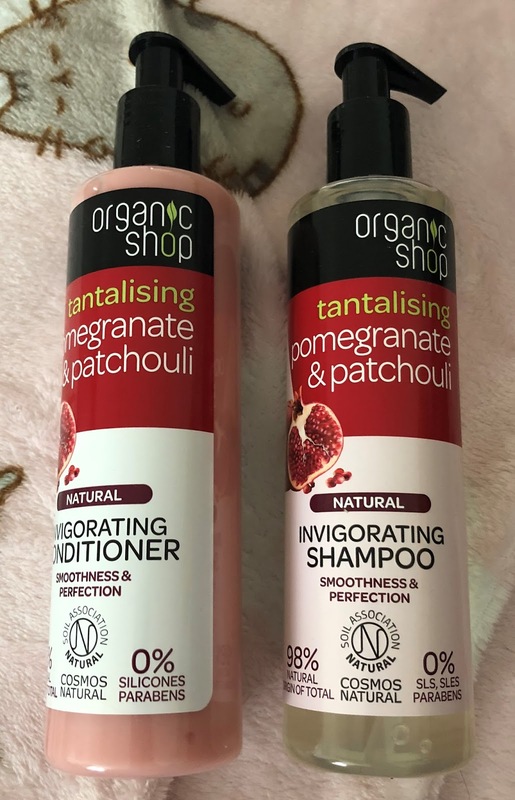 Anyway, long-term Herbal Essences fan, now a total convert to a new range of hair and body care products that are 100% cruelty free. I don't put a lot of effort into my hair, guys. I shampoo and condition it every other day. I dry shampoo it in between if it's looking a bit lacklustre. And occasionally I'll straighten it. I am all about that low maintenance life, tbh. So I love Organic Shop's* range of natural beauty - a lazy girl's dream. How much easier does it make life to have your shampoo and conditioner in a pump bottle?! I had no idea I was missing out on so much by still using regular squeeze bottles. This is a major plus for Organic Shop's Shampoo and Conditioner. It's not just the design of their products that has me singing Organic Shop's praises. Their products are all about that natural life, which makes my inner "save the planet" girl very, very happy. Organic Shop have created a range of fun but highly effective body, face and hair-care products. They source the very best ingredients from across the planet, and use traditional beauty recipes, to help you discover the power of nature at its best. From Moroccan spices to exotic ylang-ylang blooms, aromatic cocoa beans to so much more. And rest assured, you'll find no hidden nasties in any of Organic Shop's products. No harmful microbeads, absolutely no parabens, SLS, mineral oils or GMOs. Organic Shop are totally against testing on animals (which is something I am SO SO happy about!) and ensure their packaging is fully recyclable so you can do your bit to protect the planet. Not only are the products sustainable, natural, cruelty free, organic and recyclable; they're also incredibly affordable. You can buy the range in Tesco, and a bottle of shampoo or conditioner will cost you just £2.50! That's at least £0.50 less than a bottle of Herbal Essence's Shampoo/Conditioner. That's a £1.00 saving if you buy both shampoo and conditioner. Winning! What else? Well, Organic Shop produce their hair-care range in a variety of different scents. Pomegranate and Patchouli, Honey and Avocado, Raspberry and Acai and more. There's so many different scents to choose from! 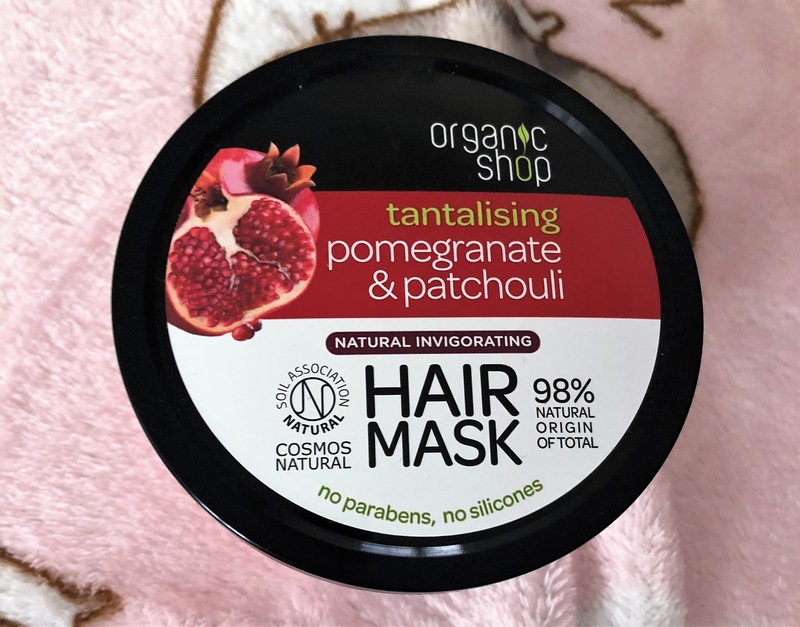 I trialled the Pomegranate and Patchouli Shampoo, Conditioner and Hair Mask, and I LOVED the smell. It was more subtle than other hair-care products I've used in the past, but it was still delightful. My hair feels AMAZING after using Organic Shop's range of natural and affordable hair-care products. I'm a total convert now and won't be going back to Herbal Essences. I love the design of this product, the scent and the range of scents, the cost, and how it leaves my hair feeling after washing. Also, I can't believe I've never used a hair mask before. So easy, and my hair has thanked me for it, let me tell you! So get yourself down to Tesco right now and grab yourself a few bottles of this fantastic cruelty free shampoo and conditioner. Organic Shop also sell a range of bath and shower products, face care products and more. You can shop their entire range of products on their website! Will you be trying this new hair-care range?